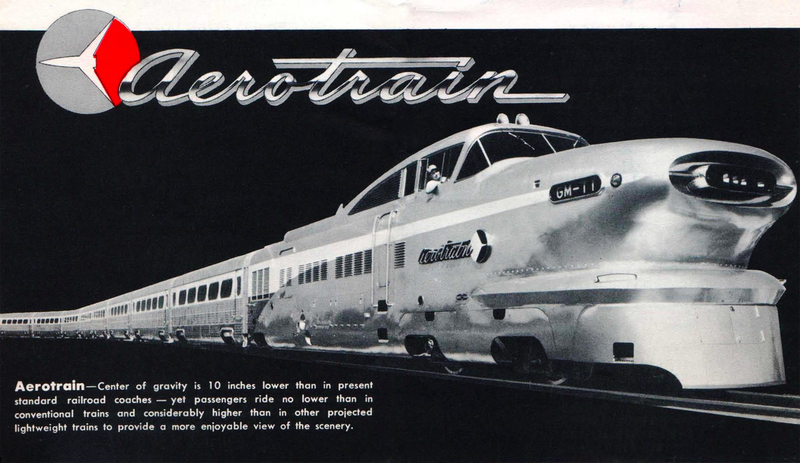 The General Motors' Aerotrain was designed for two primary purposes; one was to lure the riding public back to the rails while the other was make sure such services were relatively inexpensive for railroads to operate considering the mounting loss and growing competition from other modes of transportation like automobiles, subsidized buses, and airplanes. 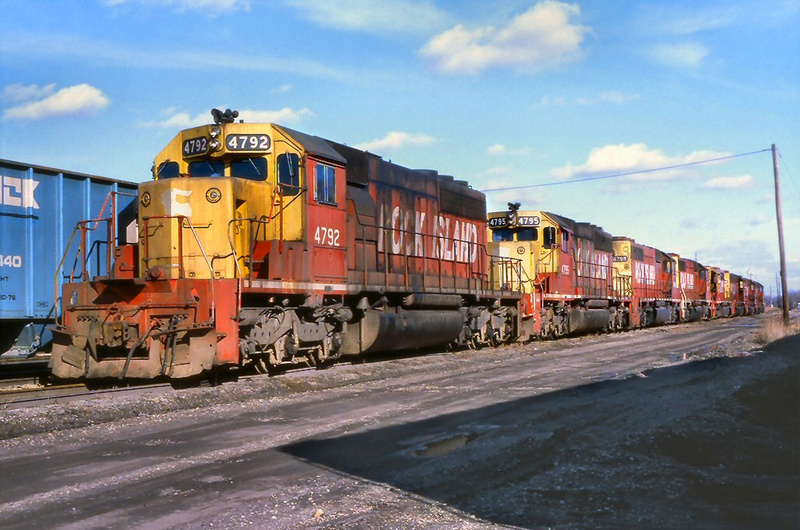 During those years GM was highly respected by the railroad industry for its incredibly reliable diesel locomotive models which consisted of its E and F designs as well as early General Purpose units (GPs or Geeps). The company had a very good idea, which was envisioned by its vice president of styling, although it seems not enough research and development was spent on the train. 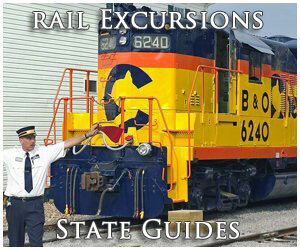 Its general problems included a rough ride and underpowered locomotive. As a result, not a single railroad ordered a trainset and the two demonstrator sets were retired after only a decade of service. With the surge in passenger and freight traffic during World War II railroads, in general, felt that this trend would continue following the conflict despite the fact that both had seen declining numbers from the time of the Great Depression in 1929 to the start of the war in 1941. As such, between 1945 and 1955 many companies either streamlined much of their passenger fleet or further upgraded these trains spending millions of dollars over the decade. Unfortunately, the traveling public continued to leave the rails in favor of the other kinds of transport mentioned above. Realizing this, General Motors' vice president of styling, Harley Earl, began to discuss the possibility of marketing a new streamlined train that would wow rail travelers and be cheap for railroads to operate. Chicago, Rock Island & Pacific, "Route Of The Rockets"
The first concepts for what became the Aerotrain appeared to the public in the June, 1955 issue of Look Magazine. 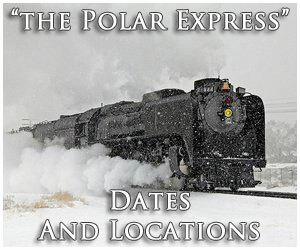 At first, it was described as "Train Y" to readers and the article looked to awe them by stating that it could operate at speeds greater than 100 mph and be able to connect New York and Chicago in 10 1/2 hours or run along the NYC-Boston corridor in just 2 1/2 hours. While Mr. Earl envisioned the train it was GM's Chief Designer of Special Projects, Chuck Jordan, who was actually tasked with bringing it into reality. 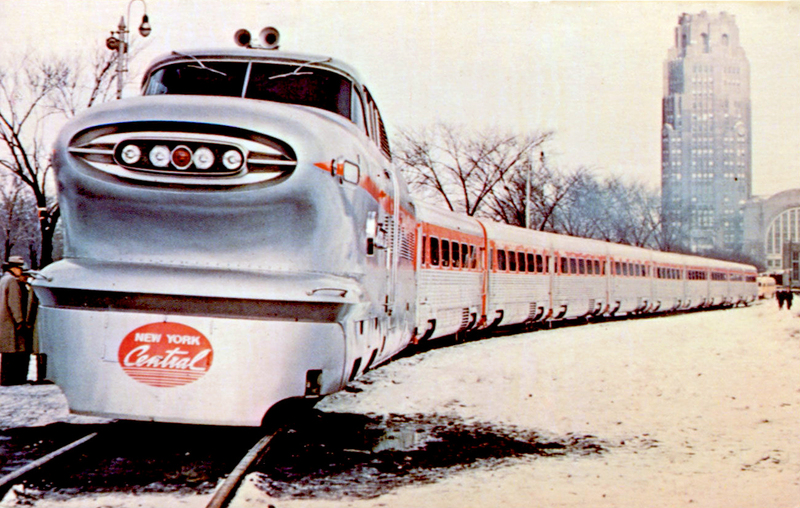 By the end of 1955 the design was in development and it was ready to debut on the Pennsylvania Railroad as the Pennsy Aerotrain in February of 1956 as trainset #1. To market the new concept GM released flyers and pamphlets, featured the train in other magazines aside from Look, and even had a miniature scale model built to tour around the country. In truth, underneath the glam and glitter in showcasing its latest railroad invention, GM had a good idea with the train. 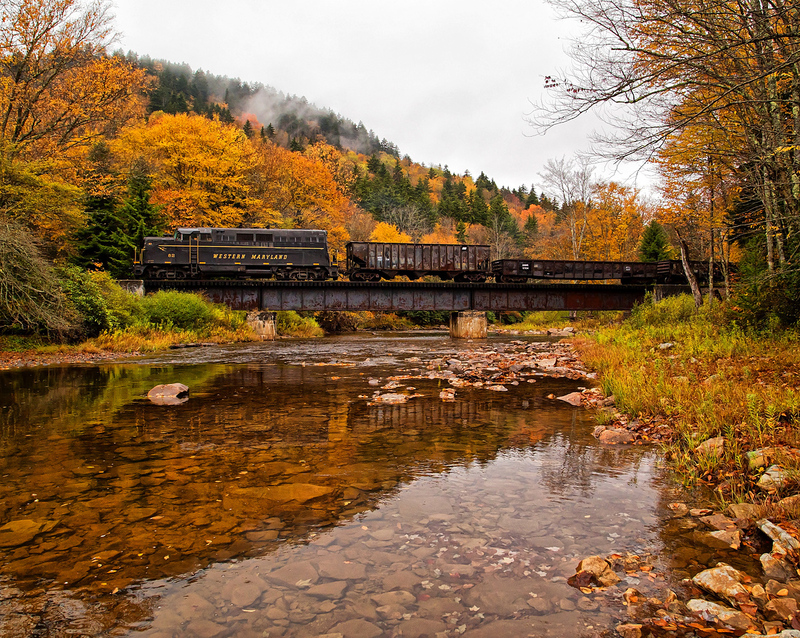 As it stated in its marketing pieces the industry was losing some $700 million annually on passenger trains by the 1950s, which nearly equaled what they were earning in freight revenue. Despite these losses railroads were required by federal law to continue providing such services even though highways, automobiles, and airlines were all subsidized on some level. The Aerotrain was powered by EMD's (GM's Electro-Motive Division which manufactured locomotives) LWT12 model diesel locomotive. 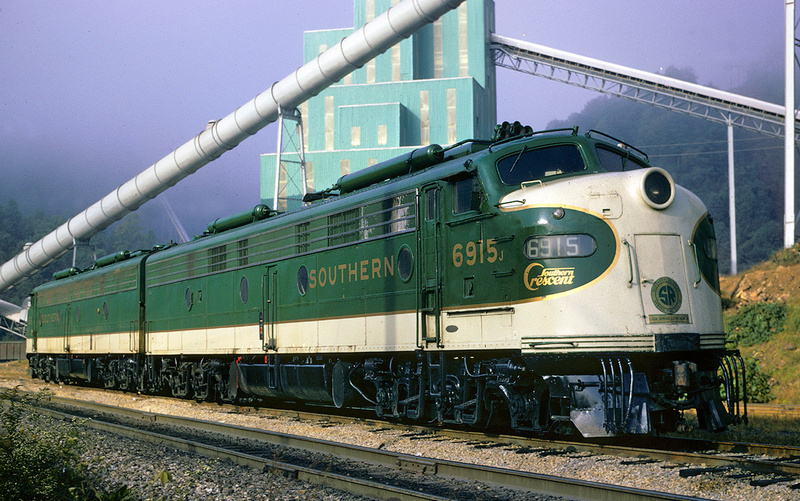 It utilized the company's tried and proven model 567C 12-cylinder prime mover that could produce 1,200 horsepower (essentially based from a SW1200 switcher). The unit featured a turret-like, raised cab and whose overall design resembled recent cars available for sale at the time. The completed train sported a 10-car consist and ironically, was modeled against the very competition trying to put passenger trains out of business, the intercity bus. The cars were only 40 feet long, half the length of standard designs, thereby reducing the weight by 50%. 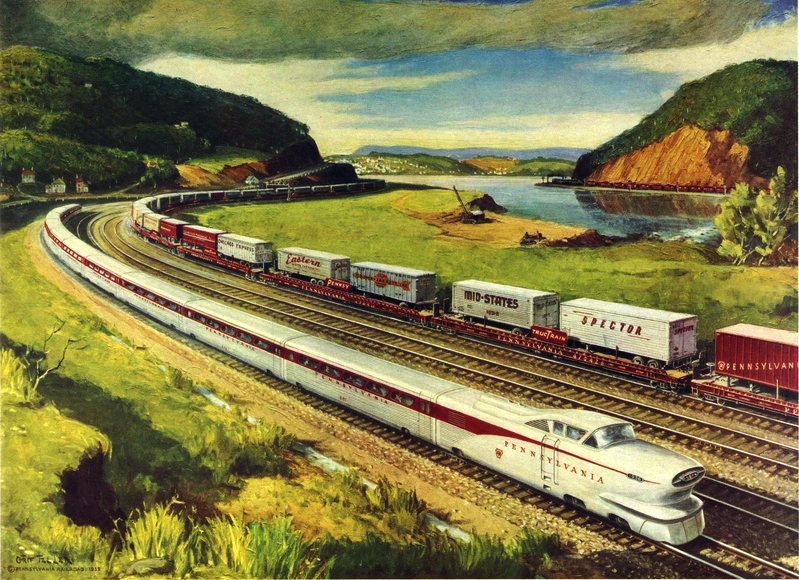 To also reduce weight the locomotive and cars were all built from aluminum and GM returned to a concept first used at the start of the streamliner era, semi-permanently coupled trainsets. In this case all of the cars and locomotive shared a truck, which further helped to trim weight. To save space GM looked to the bus design and used the area beneath the cars to store luggage and other passenger items (this also resulted in no longer needing a dedicated baggage car). With its air-suspension and high speeds travelers were meant to be "wowed" while General Motors touted to railroads that operational costs would be reduced from $2,500 per seat to just $1,000. As a final advantage for railroads, GM designed the trainset to have new equipment simply replace worn out cars due to their low cost, instead of trying to preform repairs. Soon after the Pennsy Aerotrain hit the rails between New York City and Pittsburgh, Pennsylvania the New York Central launched the second trainset, #2, between Cleveland and Chicago. 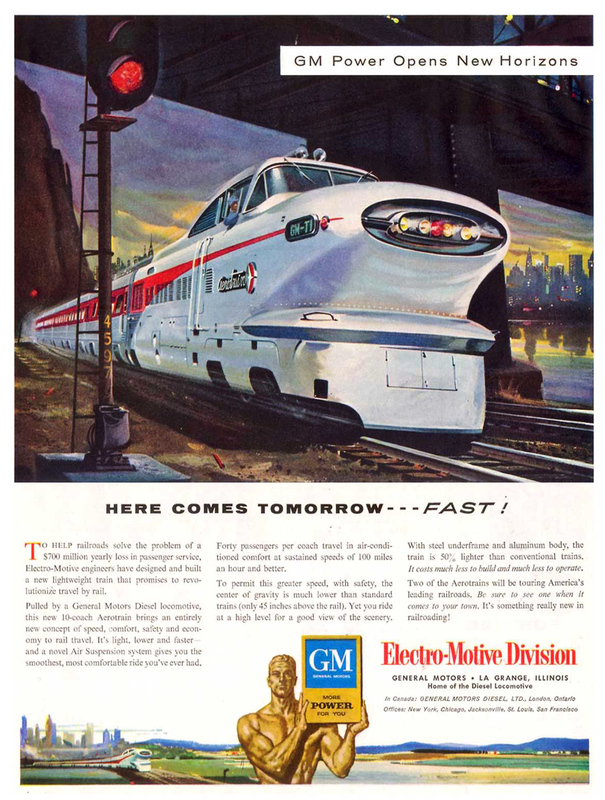 Despite General Motors' hope and claim that its futuristic train would "save an industry" this simply never happened. As it turned out the Aerotrain was far too light resulting in a rough ride for passengers. There was also the issue with the locomotive, which was underpowered and had difficulty accelerating to reach its intended fast cruising speeds of near 100 mph. 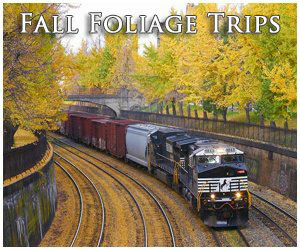 For railroads they soon discovered the locomotive was also hard to maintain and somewhat difficult to keep running. 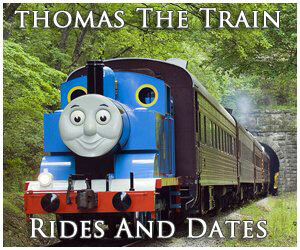 For more reading about the trainset please click here. The train went on to test with two other railroads including the Santa Fe (as its San Diegan) and the Union Pacific, which put it to work briefly on its City of Las Vegas. During these demonstrator runs the trainsets logged more than 600,000 miles although ultimately, no companies were ever interested in purchasing sets and both the PRR and NYC had returned theirs to GM by 1957. Interestingly, the Rock Island saw use for both in commuter service purchasing them soon after they were returned to General Motors. Thus, they became perhaps the most eye-catching and interesting commuter trains ever operated, faithfully operating around Chicago for another decade until even the Rock had had enough and officially retired the sets in 1966. Parts of both sets are preserved, however. Today, NYC's Aerotrain #2's locomotive resides at the National Railroad Museum in Green Bay, Wisconsin while the Museum Of Transportation in St. Louis keeps PRR's #1, which includes the locomotive (non-powered) and a few cars.